"Dr. Dai is very caring & thorough in all the visits I had with her. She is very compassionate & really cares for her patients. I am very grateful & thankful to be in her care." "Excellent dr. & brilliant also." "Dr. Dai is a very kind and caring woman." "Dr. Dai is very caring & comforting." "Dr. Dai is a professional, caring, and compassionate physician. She includes me in her plan of care and always shows concern and follows through. Excellent communication!" "Dr. Dai is a remarkable, caring person. She is spot on with her communication skills and care of me!" "Dr. Dai's attention to my particular health issues is impeccable! She calls me (personally) to keep me apprised of whatever info she needs to share with me. 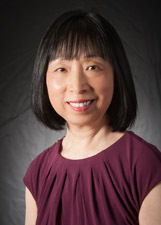 Couldn't ask for more..."
"Very high - Dr. Dai is the best - she cares & explains every thing." "Dr. Dai is an excellent doctor!" "Dr. Dai is professional, caring, and always makes me feel comfortable." "When I went to her office for my check up she found I was in A FIB. Took extreme measures to make sure I was cared for. And then followed up. She saved my live or at least from a stroke." "Dr. Dai has done an excellent job caring for me."